For some reason, I still feel awkward saying that. But it makes me giddy at the same time. Eating alone doesn’t make me one lonely individual. In fact, there are times that I truly enjoy it. Plus, there’s the perk of ordering whatever I want. I was planning to have a quick lunch at McDonald’s but it was packed. 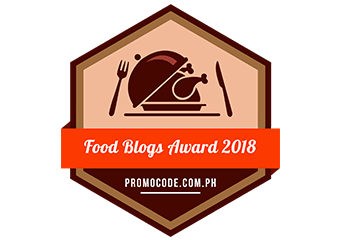 Since I had to go back to the site (yes, I was in my construction worker mode that time) ASAP, I decided to look for another place to have lunch. And that’s when I spotted O’Rice. The Korean restaurant was pretty busy too though there were still a few tables available. I got a table near the counter and ordered right away. I went with Beef Bulgogi Fried Rice (PHP248), Black Bean Noodles (PHP198) and a glass of Brewed Iced Tea (PHP95). 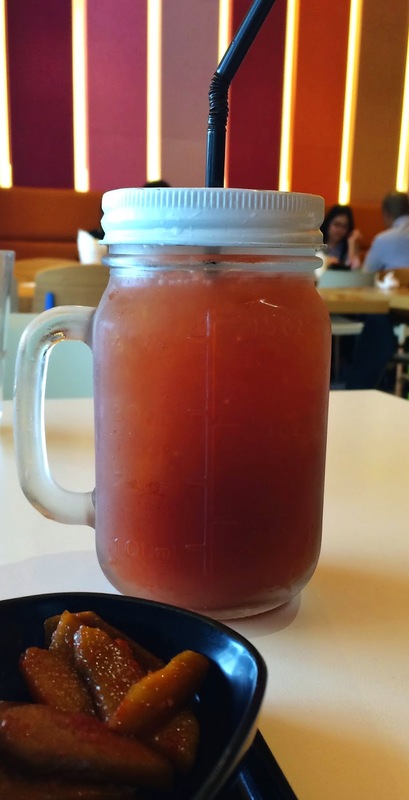 First served was the iced tea and it sure was sweeeet. Too sweet. I had to wait for the ice to melt for it to be more thirst quenching. 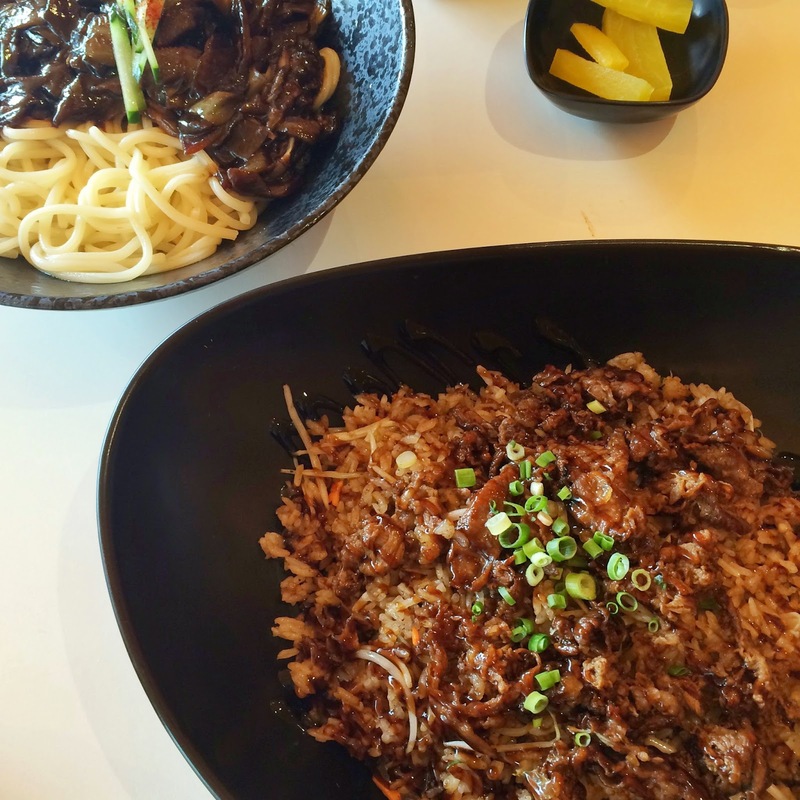 Next served was my Beef Bulgogi Fried Rice and I was overwhelmed with the serving. It was good for sharing. I figured that with its price, it would be just good for one but the serving was pretty generous. The bulgogi was yummy! 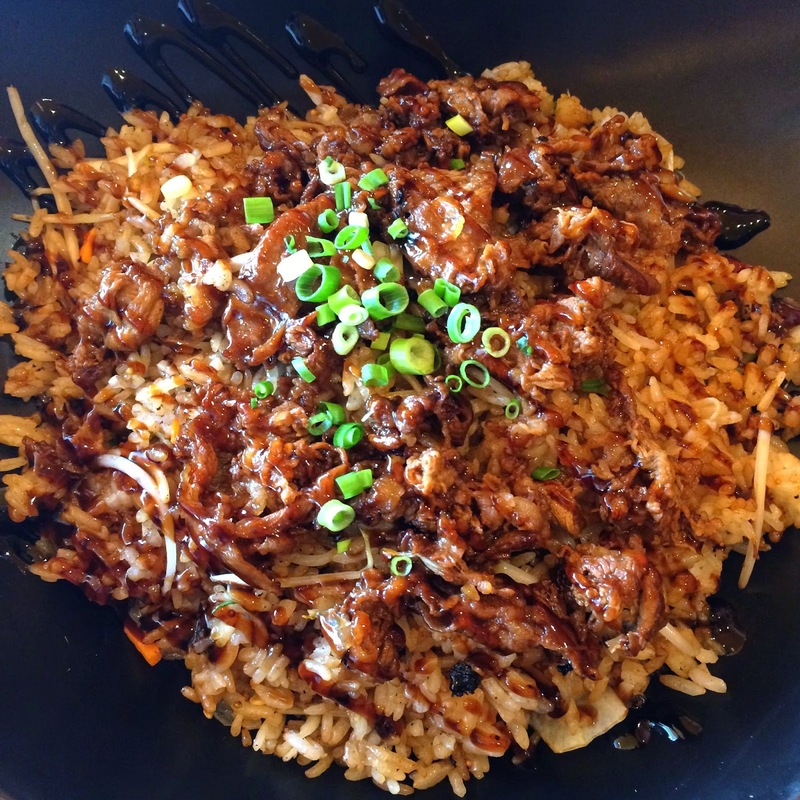 I loved the sweet and tender beef and the fried rice was great too! It was flavorful and so delightful. I loved the slight crunch brought by the spring onions and bean sprouts. The black bean noodles dish on the other hand was too bland. 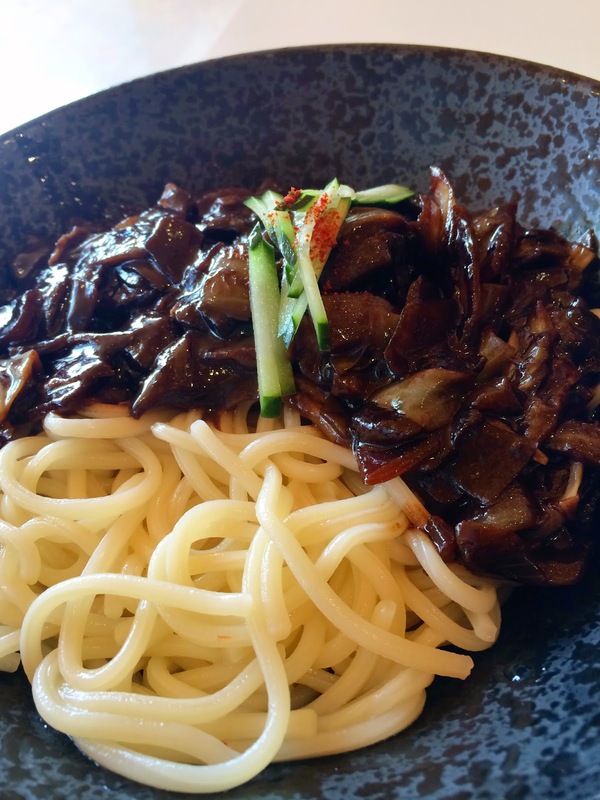 It was basically fat noodles with sweet black sauce and onions… lots of onions. I didn’t get to find a single piece of pork. Not sure if they accidentally messed up my order but I prefer the one I had from Master Bee Chinese Restaurant. Overall though, it was still a happy lunch. I will definitely visit again to try the other rice bowls. 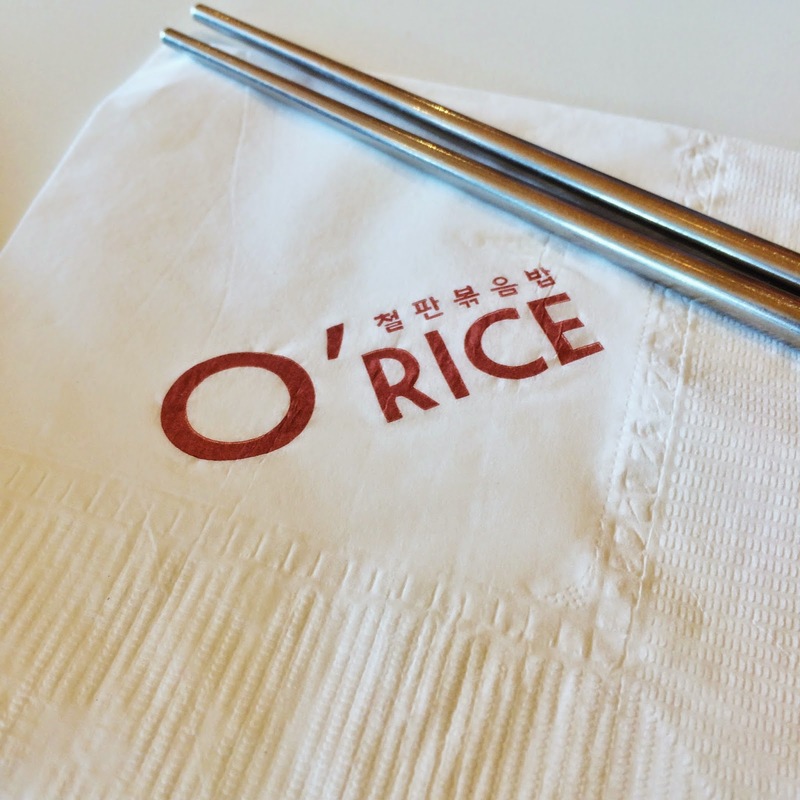 O’Rice is located at The Forum, 7th Avenue corner Federacion Drive, Bonifacio Global City, Taguig City.